Catholic Charities of the Rio Grande Valley, in addition to its facility near the federal courthouse downtown, has rented one building on 15th Street near the city’s bus station, which has become an entry and exit point in the migrants’ months-long journey to America’s southwest border and beyond. 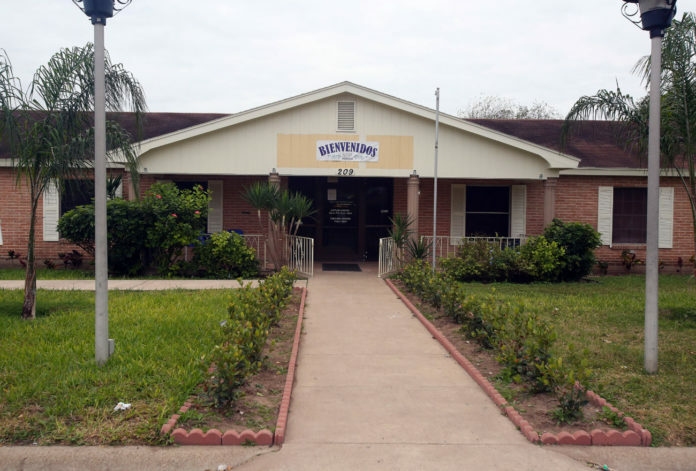 Another building on Hackberry Avenue, near 2nd Street, has also been used, according to Kevin Pagan, who doubles as McAllen’s city attorney and emergency management coordinator. Mayor Jim Darling and Pagan said the number of daily immigrants arriving at Catholic Charities facilities has exceeded 300 at least every day in the last week. Sister Norma Pimentel, executive director of the organization’s Valley extension, had explored adding facilities in the summer, at the height of the family separations crisis created by President Trump, which separated more than 2,000 immigrant parents from their children. The numbers began to spike then, and the city looked to assist Pimentel in finding additional facilities. Then, only between 100 and 200 immigrants passed through per day. Since 2014, when asylum-seeking immigrants began temporarily staying with Catholic Charities-run facilities, immigration authorities have dropped off asylum seekers at the McAllen bus station in downtown McAllen after border agents apprehended and processed the immigrants at a Border Patrol station in south McAllen. Catholic Charities officials have welcomed them off the bus and walked them a few blocks to the respite center for a temporary stay before the immigrants returned to the bus station and boarded a bus to meet their family members already living in the U.S.
Beginning on Thursday, authorities are expected to start dropping off immigrants at one of the new buildings, on Hackberry Avenue. Donations have poured into Catholic Charities, from hundreds of Dairy Queen desserts to baby clothes to large sums of money. Mike Blum, a real estate agent and member of McAllen’s Temple Emanuel, presented a $27,000 check, on behalf of the Jewish community, to Pimentel in September. Catholic Charities is also planning a new, permanent humanitarian respite center in downtown McAllen. Pimentel in September launched a campaign to raise $5.5 million, which would go toward the building itself and its operations. The new several-story building will cost no more than $4 million, Pimentel has said. There is currently a nationwide competition for the architectural designing of the new site. Catholic Charities is organizing the competition in conjunction with Georgetown University. Construction on the permanent respite center, which will be located near the intersection of Chicago Avenue and 16th Street, will likely start in 2019. Pimentel has hoped for an opening at the beginning of 2020.